Three long, dismal years after the release of the landmark "Viva Emptiness", Swedish wrist-slitters KATATONIA deliver another monolith of obsidian sadness and bleak, visceral despair. Hard-edged and dynamic even as they concoct a sonic fog so gray and choking as to render life impossible, KATATONIA are that rarity in metal — an instantly-identifiable sound, carefully nurtured and evolved over time, that grows without becoming diluted or going stale. Opener "Leaders" alone is a perfect microcosm of the KATATONIA world. At one point it disintegrates almost into nothingness, subtle electronics churning behind fading guitars and Jonas Renske's painfully wistful vocal… and then the song roars back into a furious, percussive assault (and even a surprising death bellow). There's a regained heaviness and a biting, metallic guitar tone on "The Great Cold Distance", even as the songs grow more introspective and morose (see "Soil's Song" for a great example of this). This may be the best production all around that the band has ever had — the drums are forceful and insistent, Renske is drowning in echoing pathos, and the guitars are huge. And for anyone who thinks KATATONIA is just mopey background music, songs like "Consternation" are a none-too-subtle reminder of the urgency and heaviness the band can conjure. 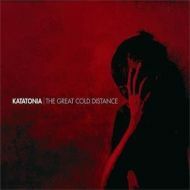 Fear not, this isn't KATATONIA gone metalcore, or anything ridiculous like that — there's nothing on "The Great Cold Distance" that will shock or alienate the faithful. If anything, the band has just increased the intensity level of their already-formidable sound — it's KATATONIA to the nth power, and its genius lies in the subtle details that unfold upon multiple listens. At this point, it's nothing short of ridiculous that KATATONIA aren't a huge band. They should be in the same league as TOOL and THE CURE, yet they linger in comparative obscurity, emerging every few years to remind us that there is darkness after every day, and a dark cloud for every silver lining. "The Great Cold Distance" is a masterpiece of gloom from a band from whom we could expect nothing less.